Ned Thompson received his Bachelor of Science in Psychology from Oklahoma State University. He has performed as both a drummer and percussionist in Oklahoma for over eleven years. Ned has taught for six years over a wide range of styles, including marching percussion, mallet percussion, concert percussion, and drum set (Jazz, Funk, Rock, Electronic, Latin, African). 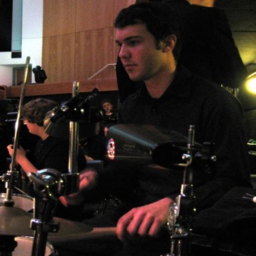 He is currently working on his solo project "Galactic Grooves" that combines modern electronic music with live and acoustic drum set playing, As an undergrad in Psychology, Ned realized that many concepts regarding Learning and Cognitive Psychology could be applied to learning instruments. From dealing with nerves at your first show, to streamlining your practice routine so that you get the most out of your time, Ned aims to give students all the tools they need to excel and be great at what they do.